Thanks for attending the 5th annual Science Hack Day in San Francisco! 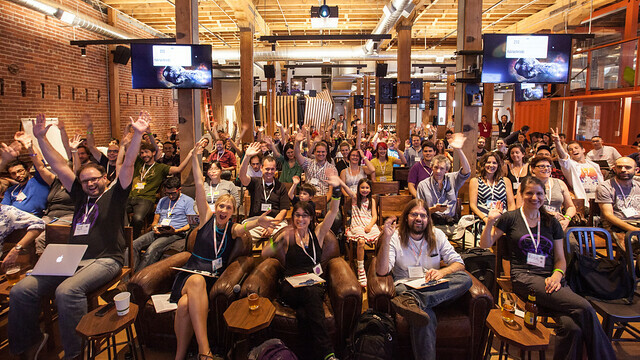 Announcing Science Hack Day SF 2014! Registration is now open at http://sciencehackday2014.eventbrite.com! We're excited to announce our 5th annual Science Hack Day San Francisco! The event will take place October 4-5, 2014 at GitHub's new amazing HQ (2nd & Brannan). Stay tuned to http://twitter.com/sciencehackday for all announcements. Mark your calendars! We'll be opening up registration for Science Hack Day SF in two waves this year. Registration will open up on Tuesday, August 26 at 12pm Pacific and Sunday, September 7 at 12pm Pacific. The link for where to register will be added on this post and at http://twitter.com/sciencehackday. As always are looking for sponsors to help support this free, volunteer-run event. Please download our sponsor prospectus and email [email protected] to get in touch!